We were so happy to be a part of this article along with some other awesome biking families. Check it out and see how great and easy it is to bike with your little ones. A big thanks to Stacy from A Simple Six for helping us to be in this article. 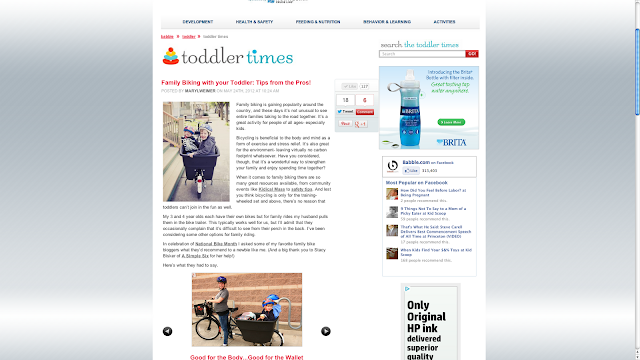 Toddler Times - Family Biking with your Toddler: Tips from the Pros!